MaxiPlay Casino is boasting a great online casino product, loaded with the best casino games from top vendors like NetEnt, ELK Studios, Thunderkick, Nextgen Gaming, 1X2 Gaming, Cryptologic, Microgaming, Quickspin and many more. They were established in 2015 and has become a top-destination for online casino players that can’t get enough of playing the latest video slots supported on all devices. To access the games you don’t need to download any software since the whole catalogue of games are available in instant web play mode. The website is of a smart and sharp looking design, with an easy and clear navigation so members can locate everything with just a click or two. MaxiPlay Casino is supported in English, German and Swedish. The customer support at MaxiPlay Casino is available 24 hours a day, 7 days a week and players can contact the support team by email or using the live chat function which is available all over the web site. In addition to their excellent support, MaxiPlay Casino also have an extensive FAQ page, where you will be able to find information about the most usual questions. MaxiPlay Casino has captured the essence of the real Las Vegas gambling experience and managed to offer it as an online product which is unusual in recent years. This old-school attitude sets this casino apart from most of the avatar and baby colour online casinos that have dominated the trend in online gambling the last few years. This is just one of many reasons why it is a pleasure to promote MaxiPlay Casino. MaxiPlay Casino is fully licensed by the UK Gambling Commission and the Malta Gaming Authority which makes this casino a perfect home for players residing in the UK, Europe, Canada and Australia. MaxiPlay Casino is owned and operated by ProgressPlay Limited. ProgressPlay Limited operates several market leading online casinos and they are known for offering a fantastic casino platform, focused on housing the latest and the most successful slots, wraped up in a 100% safe and secured online casino environment which meets the standards of all top-operators of today. MaxiPlay Casino: You choose! Get up to 500 Free Spins in Taco Brothers (Bonus code required)! Deposit £/$/€10 and get 50 free spins to play (bonus code: FD10)! 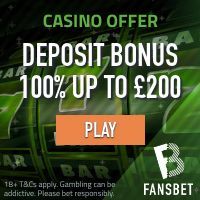 Deposit £/$/€20 and get 100 free spins to play (bonus code: FD20)! Deposit £/$/€50 and get 250 free spins to play (bonus code: FD50)! Deposit £/$/€100 and get 500 free spins to play (bonus code: FD100)! CLICK HERE AND JOIN MAXIPLAY CASINO TODAY AND CLAIM YOUR FREE SPINS! MaxiPlay Casino: Get even more Bonuses! As a real-money player at MaxiPlay Casino you will be offered a massive amount of bonus promotions on your casino journey. You’ll receive a new and exciting bonus offer every day of the week. The ongoing bonus offers vary from one day to the next but you will be able to enjoy re-load cash bonuses, wager races on specific slot games, Happy Hour treats, Live Dealer CashBack, Wednesday Free Spins and much, much more! Safe and secured is the theme at MaxiPlay Casino. All information and transactions are stored in a protected environment which is guarded by the best encryption technology available. MaxiPlay Casino accepts all major payment methods including regional instant banking solutions, credit/debit cards, e-wallets like Neteller and Skrill, pre-paid e-vouchers and direct bank transfers. Payments are handled quick and easy; one of the highest standards seen in the industry. MaxiPlay Casino is housing an impressive collection of online video slots. These are provided by the best game producers on the planet like NetEnt, Microgaming, ELK Studios, Quickspin, Rabcat Gambling, Thunderkick, Nextgen Gaming, 1X2 Gaming, Cryptologic and more. As a member of this casino you will be sure to be able to access the latest slot games and still be able to play the classics. Some of the most popular slots at MaxiPlay Casino are Starburst, Fairytale: Hansel and Gretel, Hong Kong Tower, Theatre of Night, Jungle Spirit: Call of the Wild, Aloha: Cluster Pays, Turning Totems and King of Slots. MaxiPlay Casino also offer some of the highest ever paying jackpot slots like Mega Moolah, Treasure Nile, TunzaMunni, King Cashalot and Divine Fortune. There are plenty of chances to hit the reels on several multi-million jackpot slots at MaxiPlay Casino. Australia, Belgium, Belize, British Virgin Islands, Bulgaria, Croatia, Cyprus, Denmark, Sweden, France, Greece, Hungary, Ireland, Israel, Italy, Lithuania, Luxembourg, Portugal, Romania, Serbia, Slovenia, Spain, Turkey and the United States of America.